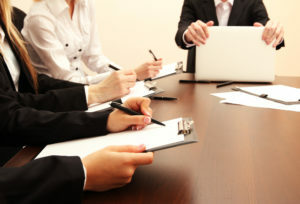 One of the most common contract disputes that affect businesses of all types involves the concept of “breach.” Breach of contract is a legal term, so it is generally helpful to consult with a Danbury, Connecticut business litigation lawyer at any time that a breach may be affecting the integrity of one of your company’s contracts. It is worth noting that breach of contract can be a challenge both internally and externally. In addition to breaches affecting contracts made with other businesses, vendors and corporate contacts, breach may affect employer-employee and contractor relationships as well. In order to preserve your legal options, please consider connecting with a Danbury, CT business lawyer as soon as you suspect that a breach of contract may affect any aspect of your business dealings. What does “breach of contract” mean, practically speaking? When one party to a contract fails to meet a legally-binding obligation as outlined in the contract, that party is considered to be in breach of that contract. There can be defensible reasons to breach a contract. For example, if a vendor is required by contract to deliver 400 pounds of fresh fruit to a processing plant on a certain day but a hurricane strikes, devastates the orchard where the fruit is sourced and makes it impossible for the vendor to travel to the processing plant, such a breach is understandable. However, simply because a breach is understandable doesn’t mean that the party in breach is not responsible for righting the situation in some specific ways. If a party to one of your company’s contracts is in breach, even if the breach is understandable, please consider speaking with a Danbury, CT business litigation lawyer about that party’s legal obligations and your rights under the language of the contract. Similarly, your company may be held accountable for breaching its contractual obligations, even if the circumstances surrounding your breach are out of your control. In order to clarify your rights and duties, please connect with a Danbury, CT business litigation lawyer as soon as you anticipate that you may have to breach any contractual obligations. Once you understand your legal options, you will be able to make an informed decision about how best to proceed. If you have questions about the practical and legal consequences associated with breaching the terms of a contract, please schedule a consultation with Sweeney Legal, LLC today. Businesses of every size and specialty deal with breach of contract challenges from time to time. Sometimes, resolving a breach is a relatively straightforward process and other times a business may find itself in need of arbitration, mediation, attorney-led negotiation or outright contentious litigation in order to protect its legal, financial and practical interests. Regardless of how straightforward or complex your breach situation may be, an experienced business litigation lawyer can act as a strong advocate for your company’s contractual interests.